When businesses, whether as a seller or a purchaser are going through the acquisition process there is likely to be discussion as to whether the acquisition will be structured as an asset purchase or a stock purchase. There are advantages and disadvantages to a an asset purchase and a stock purchase to both the seller and purchaser however, there may be a means by which to treat a stock purchase as an asset purchase and receive the best of both worlds. The article below has been prepared by a tax attorney and business attorney to discuss certain matters, but please make sure to always discuss your specific issues with your attorney and check for current law and regulations that may have changed. A stock purchase as a whole is relatively simple as the seller or target corporation’s stock is purchased and the buyer obtains control of the target corporation’s assets with no other action by virtue of owning all of the stock. This being said, the buyer may also inherit liabilities of the target corporation as the business continues and is exposed to prior matters. An asset purchase transaction may be more complex in that the buyer is purchasing the assets and not the stock thus requiring the transfer of title to each asset, which depending upon the facts and circumstances could begin to amount to significant time and cost etc. Further, if the target corporation has special licenses and permits, these may not be transferable to the buyer and could create additional issues under an asset purchase. As there is good and bad with both structures, a buyer, from a tax perspective will generally prefer an asset purchase because the buyer after the asset purchase can step up the basis in the purchase assets. Therefore, the stepped-up basis in the assets will lead to larger depreciation to lessen taxable income and thus tax at the corporate or personal level. In comparison, when the stock is purchased, the buyer will receive a basis in the stock at the purchase amount and the realization of the tax benefit may not come until the buyer sells the stock using the basis in the stock to offset capital gain. Thus, it is likely the buyer will not “realize” the tax benefit of the stock purchase until a later date than they would under an asset purchase agreement. There is a means under Internal Revenue Code Section 338 for the buyer to make an election treating a qualifying stock purchase as an asset purchase for federal income tax purposes. Under 338, if the transaction qualifies and the election is made, the transaction is treated as if the buyer purchased the target corporation’s assets for the purchase price of the stock. Therefore, the buyer will end up receiving the more advantageous step-up in basis of the assets. Under IRC 338 a 338 election can be made (filing form 8023) on a qualifying purchase of 80% or more of the target corporation’s stock. The target and buyer corporations can be either C corporations or S corporations and it is highly recommended you consult with your tax advisors regarding the tax consequences as the election could potentially lead to unanticipated double taxation to the target corporation and shareholders. Under IRC 338(h)(10) a special election can be made for the qualifying purchase of a target corporation’s (C or S corporation) stock when the stock is owned by another corporation. The election cannot be made if individuals own the C corporation’s stock. Many individuals (and businesses) buy stock and securities with the hopes and intent of the securities appreciating and perhaps paying interest or dividends. What determines when an individual is treated as an investor, dealer or trader? Furthermore, what is the tax treatment and proper way to report income and expenses when one is classified as an investor, dealer or trader? The article below has been prepared by a tax attorney to provide information related to the above issues and questions. Please remember to always discuss your specific facts and circumstances with your tax attorney and tax advisors, as this article is for informational purposes only. The Internal Revenue Service applies different definitions and meanings to the terms investors, dealers and traders. Thus, we will begin with an explanation as to these terms. An investor would typically buy and sell securities in anticipation of the securities appreciating, as well as producing other returns such as interest or dividends. In short, the investor would buy a security and hold the security for personal investment as opposed to conducting these activities in a trade or business. Generally, the investor would hold the securities for themselves and for a substantial period of time. When an investor sells or disposes of the securities, the transactions are reported as capital gain or capital loss on the investors 1040 via a Schedule D. As an investor, capital loss limitations under IRC Section 1211(b) would apply as well as wash sale rules under IRC 1091. Investors may be able to deduct expenses associated with creating the taxable income on their Schedule A itemized deductions. Further, interest paid for money to buy investment property that generated taxable income may be deducted. The cost of commissions and other related fees to dispose of the stock are not deductible but should be accounted for in calculating the gain or loss from the sale or disposition of the securities. A dealer will differ from an investor in that a dealer will purchase and hold securities for their customers and conduct these activities in the ordinary course of the dealer’s business. The dealer may hold an inventory of securities. The dealer will make their money and income by marketing securities to their clients. A dealer will report gains and losses from the disposition of securities by applying and using market-to-market rules. The activity is practiced with continuity and regularity. If you are a trader in securities you can report your income and expenses on a Schedule C with your 1040 and thus Schedule A limitations would not apply, and further, the gains and losses from selling securities are not subject to self-employment tax. Can the Internal Revenue Service really impact my ability to travel? If you owe taxes to the Internal Revenue Service, especially “seriously delinquent tax debts” the answer is yes, the IRS can impact your travel plans by impacting your passport as discussed below. In January of 2018, the Internal Revenue Service announced it will implement new procedures that could impact an individuals ability to obtain or maintain a passport. The IRS stated these new procedures will impact those individuals that have “seriously delinquent tax debts.” Under the Fixing America’s Surface Transportation (FAST) Act, the IRS is required to notify the State Department of certain taxpayers owing seriously delinquent tax debts. The FAST Act also requires the denial of passport applications, renewals of passports and in some cases even the revocation of an individual’s passport. So what constitutes a seriously delinquent tax debt? Generally, the IRS has defined a seriously delinquent tax debt as someone who has a tax debt to the IRS of more than $51,000. The $51,000 threshold would include tax, penalty and interest for periods whereby the IRS has filed a Notice of Federal Tax Lien or issued a levy, and the taxpayer can no longer properly challenge the lien or levy action. If you are taxpayer with a seriously delinquent debt to the IRS, you can likely avoid the IRS contacting the State Department by taking the following action(s). Requesting a Collection Due Process Hearing with a levy. A taxpayer under the following situations should not be at risk for having their passport rights impacted. 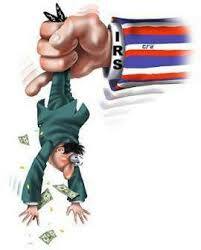 The taxpayer has an adjustment that with satisfy the IRS debt in full. In short, to prevent any passport issues if you owe taxes to the IRS, if the tax debt is being addressed, your likelihood of having a passport application denied or a passport revoked is severely lessened. Please remember this article is for informational purposes only and you should consult directly with your tax attorney regarding any tax matters or questions. What is an abusive tax scheme? You may have heard of a program or scheme that promises to eliminate or substantially lessen your tax burden and taxes due to the Internal Revenue Service. A promoter of such a scheme is likely to use financial instruments such as a trust and/or pass through entities such as a limited liability company or limited partnership. When these programs and schemes are used improperly and to facilitate tax evasion, IRS may criminally investigate the scheme and prosecute the promoters as well as investors. You should remember that if something sounds too good to be true, it could be, and could lead investigation by the Internal Revenue Service and potential criminal tax charges. 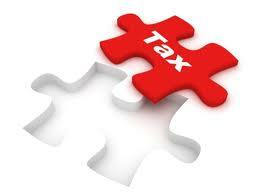 It is recommended that you discuss any potential tax scheme or program with a tax attorney. The article below will provide more information regarding abusive tax schemes, but this article is for informational purposes only, and please always discuss your specific issues with a tax attorney. Overtime tax schemes have developed from relatively simple single structure arrangements into more complex and sophisticated overall schemes and strategies that take advantage of foreign jurisdictions and financial secrecy laws. The Internal Revenue Service Criminal Investigation has a national program to fight these illegal tax schemes and programs and prosecute violators with criminal tax charges. Our government has and will continue to criminally prosecute the promoters of illegal tax schemes and those who play substantial roles in aiding or assisting the tax scheme, which could include investors into the tax scheme. The biggest question when initially looking at these issues is, what constitutes an abusive or illegal tax scheme and could lead to criminal tax evasion and criminal tax charges? In short, an abusive tax scheme that could lead to criminal matters would violate the Internal Revenue Code and related federal statutes. Furthermore, generally the violations of the federal tax law and related statutes would use domestic or foreign trusts as well as pass through entities such as partnerships as vehicles in violating the federal tax laws. In recent years, foreign bank accounts and other financial accounts have been used more frequently to accomplish tax evasion because of reporting issues (one may refer to FATCA for further information). Many foreign banks and financial institutions do not report income such as interest and dividends, and thus there is no record of the income to the trust, entity and individuals. With no reporting to the federal government, and no reporting on applicable tax returns, the income goes unreported. 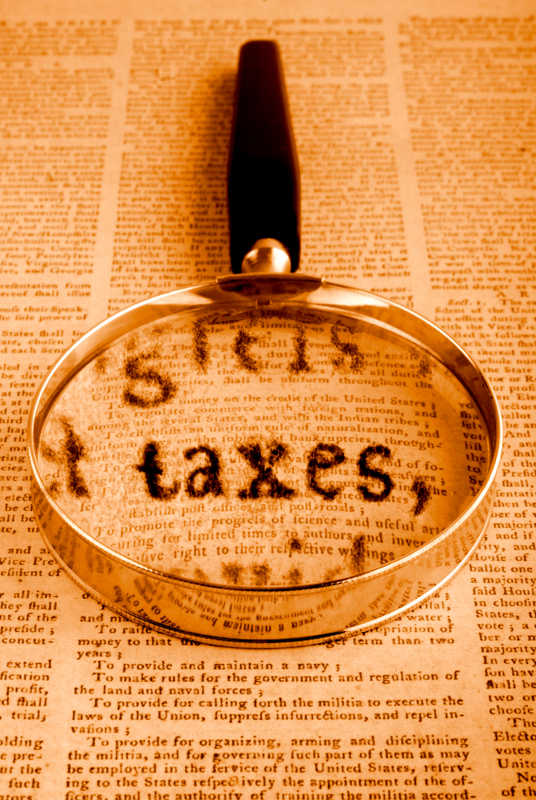 As stated above, foreign accounts or trusts may be used frequently in illegal tax schemes. A common scheme that may have many variations may flow as follows. 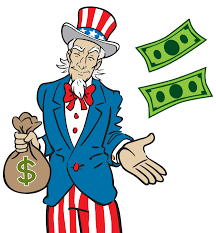 A United States citizen has a business in the United States and also forms a foreign corporation and foreign bank account in the same name of their US business. When checks are received, the checks are processed through the foreign business and foreign bank account. The foreign account will likely be in a foreign jurisdiction that does not report income and related items to the US government. Thus, the income goes unreported on the taxpayer’s tax return and there are no 1099s issued to the US government to have any knowledge of the account and thus income going into the account. Some schemes will involve a foreign business that issues invoices to a United States business. The invoices are paid to the foreign business and a deduction taken by the US business, but the income of the foreign business is not claimed. The business are commonly owned and the US citizens involved are not claiming the income of the foreign business. Again, we have unreported income into a foreign account, and likely interest and/or dividends in a foreign account that would not be reported. The above examples could go many more layers deep, but provide good examples as to how an illegal tax shelter or abusive tax scheme could be established. The above article has been prepared by John McGuire of the McGuire Law Firm for informational purposes, and should not be relied on as legal advice. Mr. McGuire is a tax attorney, representing individuals and businesses before the Internal Revenue Service and can be contacted directly through the McGuire Law Firm. Many corporations may provide or distribute stock or stock rights to employees. When a corporation distributes it’s own stock, this would be referred to as a stock dividend and when a corporation grants stock rights, these are typically referred to as stock options. When individuals receive stock dividends and stock options, they generally will ask or inquire as to whether or not these dividends or stock options are taxable. Generally, the answer is no, stock dividends and stock options are not taxable, and thus not reported on an income tax return. However, under certain circumstances, the stock dividends or stock options can be taxable. These circumstances are discussed below, and please remember to always consult directly with your tax advisors regarding your specific circumstances. 1)	The corporation distributes cash or other property to certain shareholders of the corporation and provides other shareholders with an increase in their percentage of interest in the assets and earnings and profits of the corporation. 2)	The distribution can be converted by the shareholder into preferred shares. 3)	Any shareholder has the ability to choose cash or other property be received as opposed to the stock or stock rights. 4)	The distribution is a distribution of preferred stock. It should be noted, however, that such a distribution would not be taxable if it is solely an increase in a conversion ratio of convertible preferred stock, which has been made solely due to a stock dividend, stock splitting or similar action that would result in reducing the overall conversion rate. 5)	The distribution allows for preferred stock to be issued to some common stock shareholders and common stock of the corporation to be issued to other shareholders. When a taxpayer does receive a taxable stock dividend or stock rights, the taxpayer would include the fair market value at the time of the distribution in their income. It is also important for shareholders to be aware of constructive distributions. A shareholder may have to treat certain transactions that increase their proportionate share or interest in the earnings and profits or assets of the corporation as if stock or stock options were distributed if the result is the same as items 1, 2, 4 or 5 above. This treatment would apply to a change in a shareholder’s conversion ratio or redemption price, a difference between the stock’s redemption price and issue price, a redemption that is not treated as the sale or exchange of the applicable stock and other transactions whereby the similar effect is realized on the shareholder’s interest in the corporation. An example of a taxable distribution would be the receipt of preferred stock that holds a redemption price higher than the price the stock was issued for. This difference is considered the redemption premium, and generally the redemption premium would be considered a constructive distribution and taxable. The above article has been prepared by John McGuire of the McGuire Law Firm for informational purposes and should not be considered tax or legal advice. John is a tax attorney and business attorney in Denver, Colorado and Golden, Colorado serving clients in Colorado and nationwide on certain tax matters. When must I realize gain? For the most part, it is easy to recognize when gain or loss has been realized, but at other times it may be hard to ascertain. The article below has been prepared by a tax attorney to discuss gain or loss on certain property transaction and certain realization events. Please remember this article is for informational purposes and specific facts and circumstances should be discussed specifically with your tax attorney and other tax advisors. The character of the gain. For example, was the gain short term capital gain or long term capital gain. Or perhaps, is the gain subject to recapture rules. If there was a loss, is the loss allowed in whole or in part. In regards to a realization event, generally speaking, a transaction with property will be considered a realization event if the taxpayer’s relationship, or control of the property is terminated, or the interest is significantly or materially reduced. The lack of any transaction would tend to show a lack of a realization event. Further, it should be noted that the mere increase or decrease in the fair market value of property does not, by its self, create a realization event. For example, you may purchase Microsoft stock. As the stock increase, you do not recognize gain, but rather, when you sell the stock, if the sale price of the stock is in excess of your adjusted basis, gain would likely be realized, and need to be recognized by reporting the gain on your income tax return. Furthermore, transferring or disposing of property through a gift is generally not a realization event. While the gift may have many tax implications, the gift alone may not be enough for a realization event whereby income or loss would be recognized on an income tax return. There are multiple issues to consider relating to realizing gain and loss, and recognizing gain and loss. Further, there are many situations whereby a loss may be disallowed in whole or part, or the loss can only be recognized in certain amounts or over certain times. This article has been prepared by John McGuire at The McGuire Law Firm. John is a tax attorney and business attorney working with individuals and businesses before the IRS and assisting clients with other tax and business matters. John can be reached at 720-833-7705. What is original issue discount? Original issue discount (OID) is a form of interest that you may not realize you have earned, received or need to report. The article below has been prepared by a tax attorney to provide information regarding (OID), but please consult directly with your tax advisors regarding your specific facts and circumstances. Generally, you should (or will) report OID as income as it accrues over the term of any debt instruments even if you do not received any payment(s) of the actual interest from the party paying the debt and/or interest. A debt instrument could be a promissory note, bond, debenture or any other evidence of indebtedness based upon the facts and circumstances. You may typically see a debt instrument have OID when the debt instrument was issued for less than the stated redemption price. A debt instrument that pays no interest before the instrument matures would likely be considered issued at a discount. The following are examples of discounted debt instruments. An example may help illustrate the discount and interest amount. If a bank issues a bond with a maturity price of $1,000 for $900, the original issue discount is $100, and the discount would be included in income as it accrues over the term of the bond. Please note, if the discount is less than one-quarter of an interest percentage (.0025) the discount may be considered de minimis discount and treated as zero. All of the above being said, many people will ask if there are any exceptions to reporting OID income. The OID may not apply to the debt instruments below, but please always check current law and regulations with your tax attorney or tax advisors. A loan between individuals if the loan and any other prior loans between the same individuals is less than $10,000 (USD), the individual lending the money is not in the business or regularly lending money; and, a primary purpose of the loan is not to avoid federal income tax. Is a 1099 issued? If the total of the OID is $10 or greater, the party issuing the debt instrument should issue a 1099-OID. You can speak with a tax attorney or business attorney with questions related to interest and OID by contacting The McGuire Law Firm. 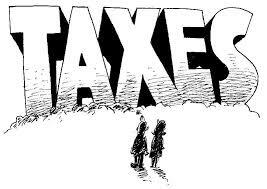 Call 720-833-7705 to discuss your matters with a tax attorney. Limited Liability Companies (LLC) are a very popular entity choice and structure for new businesses and closely held entities. An LLC can be formed quickly and has a lot of flexibility regarding members, operations and taxation structure. It is not rare for an LLC to eventually consider and perhaps decide to be taxed as an S corporation. Although, an LLC converting to a Subchapter S corporation has benefits, such as potentially reducing self-employment taxes, these benefits may be mistakenly lost if the Subchapter S corporation status is invalidated. A means by which to invalidate the S corporation status, which is many business owners may not consider is the LLC operating agreement. Abiding by the LLC operating agreement may cause the entity to operate in a manner than invalidates the S corporation election. The article below has been prepared by a tax attorney and business attorney to further discuss the risk of losing S corporation status by abiding by an operating agreement. Please remember this article is for information purposes only, and is not intended to be legal or tax advice. Our focus will be on the one class of stock requirement. The one class of stock requirement requires that all shareholders receive distributions and liquidation preferences pro-rata per their stock ownership. An S corporation can have a different class of stock for voting rights, but the economic benefits and distributions to the shareholders must follow the ownership percentage, which is directly related to the number of shares each shareholder owns. Many LLC operating agreements will contain clauses and language that actually require unequal or disproportionate distributions to the LLC members. Thus, if the distributions are in accordance with the operating agreement, the issuance of disproportionate distributions could lead to the IRS claiming the corporation has multiple classes of stock, and therefore, the S corporation election is invalid. Treasury Regulation Section 301.7701-(3)(c)(1)(v)(c) states that the S corporation election is valid only if ALL requirements are met. Thus, an LLC electing be to be taxed as an S corporation should consider removal of certain clauses within the operating agreement relating to substantial economic effect, IRC Section 704 and any other clause that could create disproportionate distributions. If the S corporation election was lost, the owners may be subject to additional self-employment tax, or the business, if taxed as a C corporation would be subject to tax at the corporate level, and the shareholder level, thus double taxation. If you have questions related to your choice of entity, taxation matters and internal business documents, it is recommended you speak with a tax attorney and/or business attorney to review the documents, taxation matters and intended tax treatment. Deductible or a Capital Expense? Is an amount paid by a business an expense that is currently deductible, or is it a capital expenditure that should be depreciated,, amortized or depleted? This issue is one of the most common issues in a tax audit with the Internal Revenue Service, as well as one of the most litigated issues in United States Tax Court. The article below has been prepared by a tax attorney to provide additional information related to this common issue. Please remember that this article is for informational purposes, and you should consult directly with your tax attorney and advisors related to your specific issues. A currently deductible expense is an ordinary and necessary expense that is paid or incurred by the business during the taxable year in the ordinary course of operating the trade or business. Please reference Internal Revenue Code Section 162. In comparison, a capital expenditure would be the cost to acquire, improve or restore an asset that is expected to last more than one year. These capital expenditures are not allowed a deduction, but rather are subject to amortization, depreciation or depletion over the useful life of the property. See Internal Revenue Code Section 263. That being said, how does one determine whether an expenditure is an expense to be deducted or a capital expenditure? The answer is, it is a question of fact. The Courts have applied the principles of deductibility versus capitalization on a case by case basis, and the facts and circumstances of each case will likely determine the outcome. An example may help illustrate the difference between an expense that would be deductible versus one that would be capitalized. If a business owner bought certain office supplies such as pens and paper, they would be deductible. If the same business owner, purchased a building to operate the business, the building would be capitalized. Let’s look at a different example that might not be as obvious. Assume a business owns and rents property. In one property a hole was placed in the wall when a tenant moved. In another property, the owner decided to replace the walls with new drywall and paint. It is likely the fixing of the hole in the wall would be deductible as a repair or maintenance, whereas the cost to replace the walls would be capitalized by the business. One further issue to consider beyond the matters discussed above is that the Internal Revenue Code requires books and records to be maintained to verify and substantiate the expense whether it be a deduction or capital expense. If the item or amount of the expense cannot be verified and substantiated by the taxpayer, the IRS may disallow the deduction or the capital expense. If you have questions related to a deduction or capital expense, you can speak with a tax attorney by contacting The McGuire Law Firm. 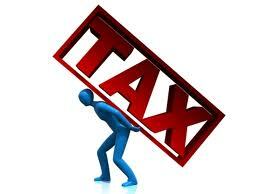 The McGuire Law Firm offers a free consultation with a tax attorney to discuss your questions and issues.